Glaciers in the Himalaya are leaving behind 1000s of glacial lakes as they thin and retreat. 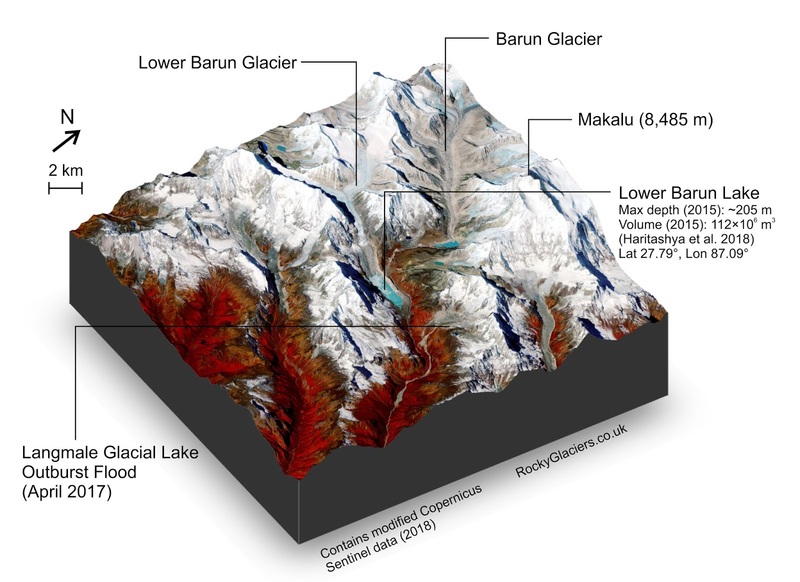 Here, Lower Barun Glacier has formed a lake >200 m deep and growing. 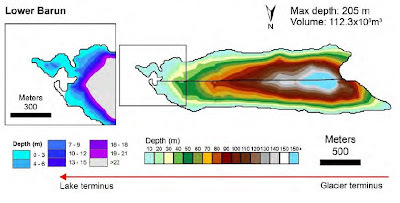 The lake featured in a recent study by Haritashya et al. (2018) investigating three large glacial lakes in Nepal icluding Thulagi and Imja.